will ensure your landscape looks the best it can. We are tree removal and tree trimming specialists who operate in Sydney and the surrounding areas. 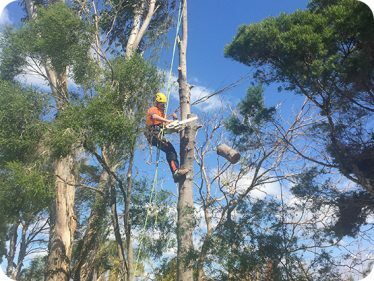 We have been working in the arboriculture industry in Western Sydney for over 15 years and pride ourselves on our workmanship and professionalism. Our highly experienced arborists utilise industry approved techniques and apply the highest level of WHS on all job sites. Emergency Tree removal can be a dangerous job and should only be completed by a professional arborist. There are many safety regulations and hazardous situations that can occur during a tree removal that are not necessarily obvious to untrained eyes. Only through our training and experience can we identify all hazards up front and account for them in our work. As you can appreciate when hazards arise we will have the equipment required to deal with them safely and professionally. Our arborists specialise in Emergency tree removals from residential to commercial properties. We understand trees need to be removed for many reasons. Whether it’s a personal or council requirement we are here to help you with all your Emergency tree removal and cutting services. We have an in-depth knowledge of each council and their associated requirements and can assist you with complying with the council for your next tree removal. We also do garden maintenance, wood chipping and Tree mulching Service. Take a look at our Emergency tree removals that have recently been undertaken. We service all areas of Sydney including the Blue Mountains, Penrith, Blacktown, Emu Plains, Cambridge Park, Werrington, Mt Druitt, Parramatta, Campbelltown and surrounding areas so we’re sure to have a day near you.